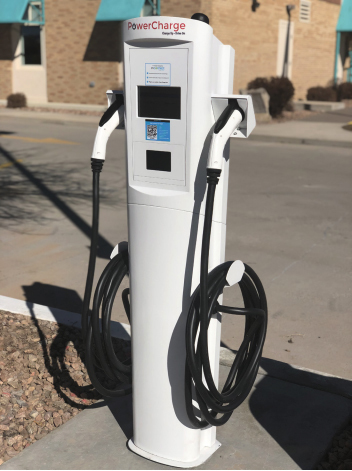 Monte Vista-based San Luis Valley Rural Electric Cooperative recently installed an EV charger in its parking lot. 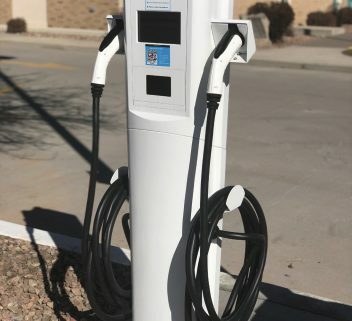 The charger is a dual-port PowerCharge and the electric co-op will offer a six-month trial period for people in the area to stop by and try it out. The Level 2 charger was installed in response to research and a survey that SLVREC consumer-members participated in. Many survey respondents showed support of the charger and of EVs in general. This charger is one of several charging locations in the San Luis Valley, according to PlugShare.com. SLVREC hopes this will spark EV interest among the electric co-op’s consumer-members.